Come fall and winter, many of us swap out our brights and pastels for more muted, darker hues. When it comes to our hair in particular, we tend to cover those summer highlights and transition our hair to deeper shades for a more sophisticated, polished look. That had been my routine anyway, until I woke up one morning to discover that one of my style icons – Marzia – bleached a good part of her hair blonde, keeping just a touch of her original dark brown color around the roots. I loved her results. She looked amazing and for a second, I thought I’d take the Jenna Marbles route and do the deed myself at home (i.e. watch a Youtube tutorial, grab some bleaching supplies at the beauty supply store, and go to town). A few seconds later and I was already visualizing the possible disaster that could (and likely would) ensue. Plus, I’d never gone more than a shade lighter before, so I was hesitant to take the plunge to straight blonde. So instead, I turned to try something a bit more subtle to start out – Sun-In’s hair lightening treatment. 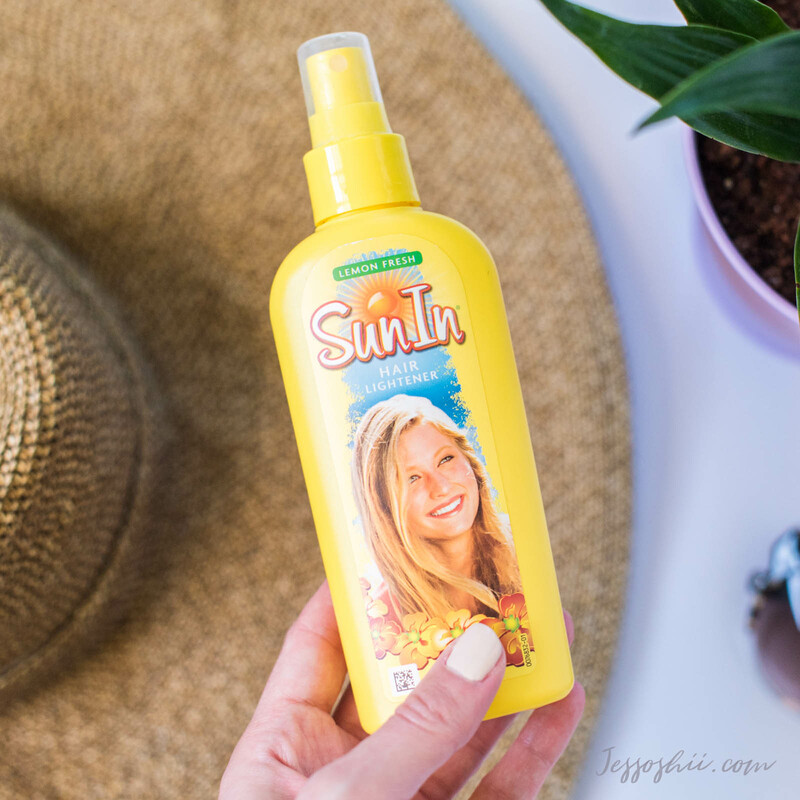 I remember seeing ads for Sun-In in my Teen Beat magazines back in the 90’s, but this was my very first time giving it a go. As with any beauty products, I did my research online beforehand and admittedly, the reviews kind of made me nervous. 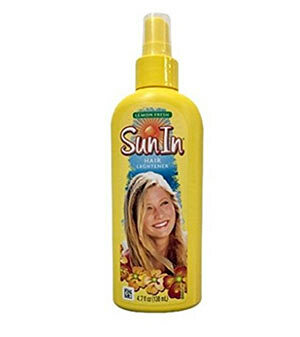 Some complained about Sun-In turning their hair orange/brassy, but it seemed a good number of those experiences were from people who had used it years ago, as far back as the 90’s, 80’s and even the 70’s. I’m assuming the idea back then was to drench your hair in it, and then sit for hours in the sun. Avoid getting the product on your skin (since it contains hydrogen peroxide). 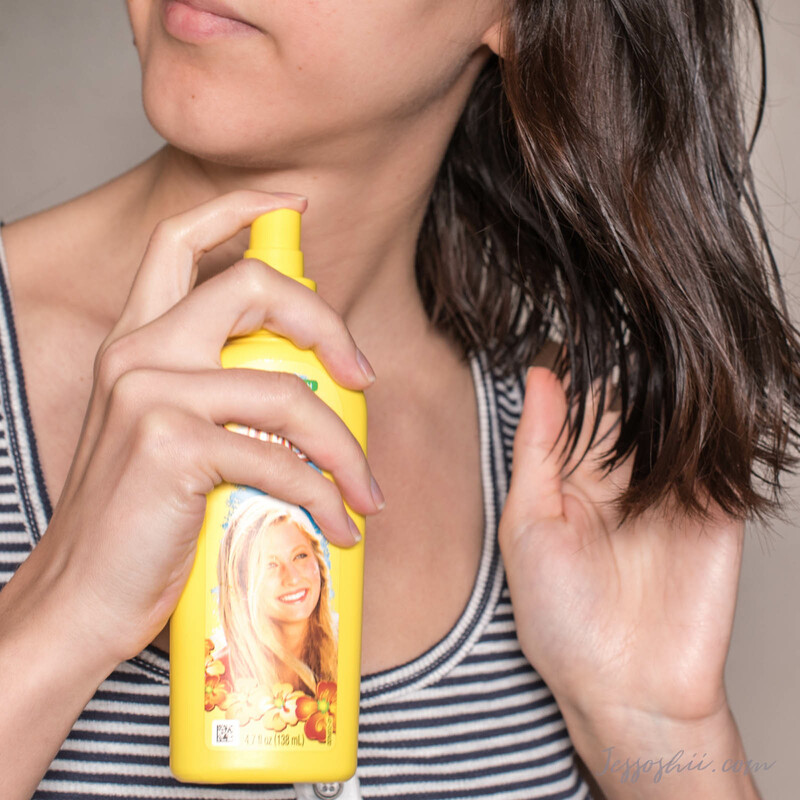 Spray away from scalp and especially your face. Wash your hands afterwards. Turn the blow drier on full heat and blow dry until hair is completely dry. Apply a conditioning hair serum/oil once hair is dry to lock in moisture and prevent dryness. 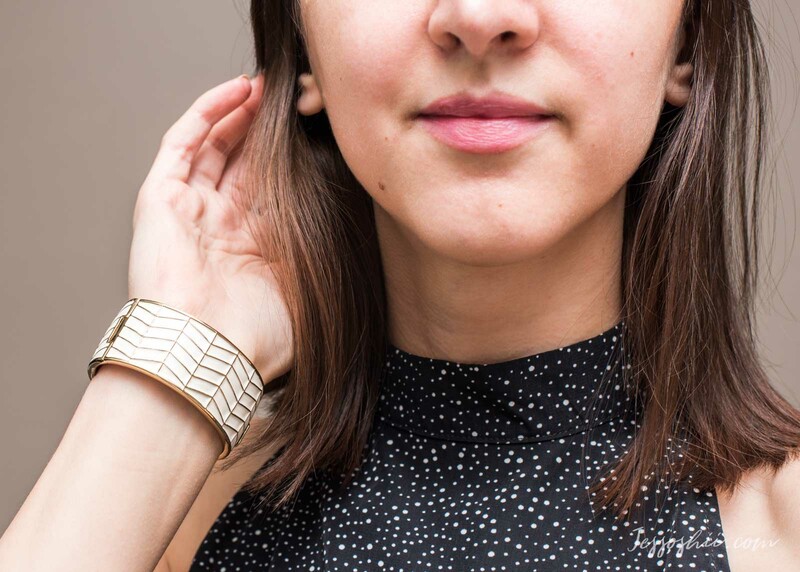 Space out treatments to avoid over-drying and over-processing your hair. Wait at least 1-2 days after your first treatment before doing another one, as the lightening process can sometimes continue for a few days. 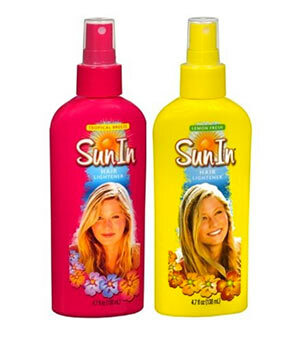 It also appears that Sun-In has made some improvements to their formula over the last decade or so. Their most recent version is alcohol-free and formulated with botanical extracts (like aloe, chamomile, and flaxseed), which supposedly help counteract the drying effects of hydrogen peroxide and lemon juice. It also contains special illuminators to give hair a boost of shine. 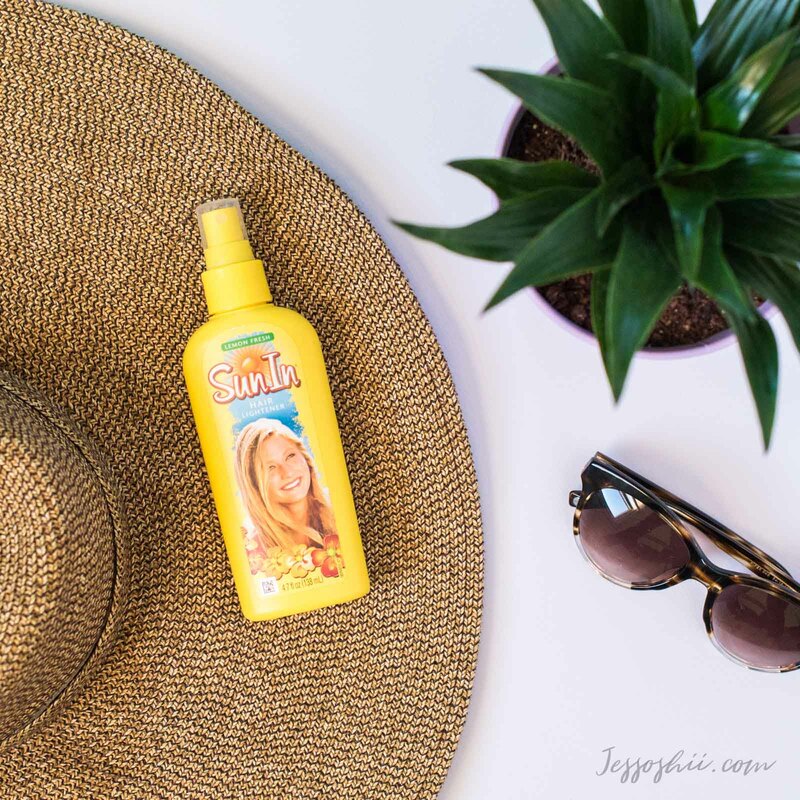 Sun-In is recommended for use on blonde to medium-brown hair, however I’ve seen it work beautifully on black hair as well, to lighten it a few shades. I started with uniform dark brown hair that had been previously dyed with permanent hair color a few months back – not the best hair situation to start with, but I figured I’d try my luck. So far, I’ve only used Sun-In three times, applying to the bottom half of my hair only (and somewhat randomly to get natural-looking highlights here and there) with the hope of eventually creating an ombre-like effect. All three times, I used a blow dryer to ‘activate’ it instead of the sun. Having read that it takes most people with dark brown hair a good month’s worth of treatments to reach dark blonde, I’m expecting to reach my desired results after about 6-10 more uses. In the meantime, I wanted to show you my (fairly promising) results so far. Take note of the lighter highlights – those weren’t there before! As you can see, Sun-In lightened up the lower half of my hair by about a shade, and created some natural-looking highlights (and they’re not orange-y or brassy – yay!). And from what I’m able to tell by the texture, the formula hasn’t damaged my hair. My strands however are beginning to feel a bit drier than usual, so I’ve been making sure to use a conditioning serum/oil after blow drying, which seems to be helping. Not my best hair day, I’ll admit, but at least here you can see the difference in light and dark tones. Sun-In managed to lighten the bottom half of my hair by about 2-3 shades, taking it from a dark ashy brown to a warm medium chestnut. I’m not so sure I achieved the ‘gradient’ effect I was going for though… I wish I’d sprayed a bit closer to my roots, maybe covering 2/3 of my hair instead. But in any case, this stuff definitely works! Update (4/15/2018): My hair has grown out quite a bit since my last post, so I thought I’d share another update. Below is a photo taken indoors, hence why the shade difference looks a bit more subtle. (Ignore the half-asleep look on my face!) I’m actually quite liking the effect now that my hair has gotten longer. 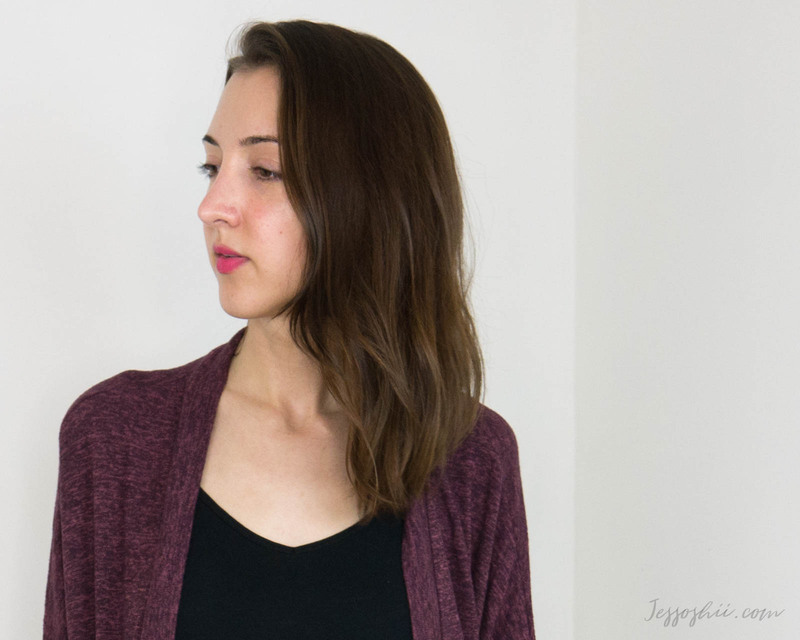 The highlights look a bit more natural, with a slightly softer, more gradual transition. Have you tried Sun-In or another hair lightening treatment? If so, how did it work for you?